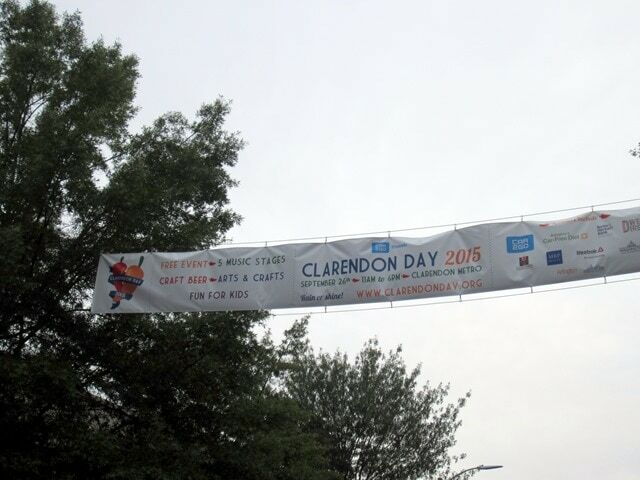 On Saturday, Matt and I ran the Clarendon Day 10k, and I set myself a new 10k race PR (personal record)!! This was my third time doing the 10k (fourth time doing the race series – remember last year when my friend and I ran the 5k by accident?) and I always enjoy it. It’s convenient, not too big, and well organized. It’s also a great race for PRs because the first mile and a half of the race is downhill! 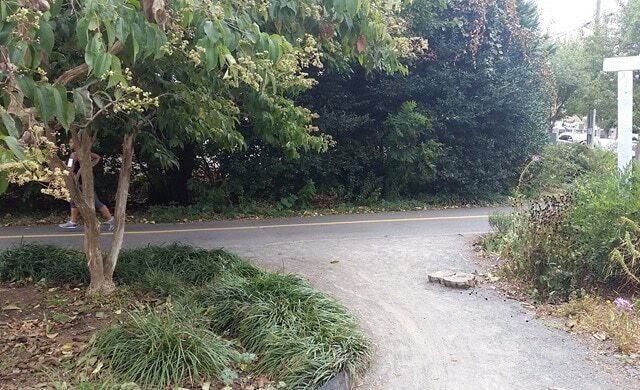 There’s some uphill at the end, but it’s still a pretty awesome way to bank some time. The 10k race starts at 9 a.m. (the 5k is at 8 a.m. – I triple checked the time this year, ha! ), which I love because we were able to roll out of bed at a reasonable hour to head over. 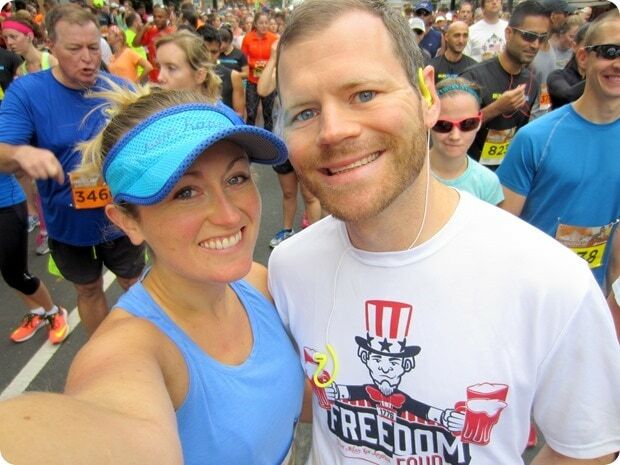 We had no problem finding free street parking, getting our bibs, hitting the portapotties, and doing a quick warm up jog/stretch before lining up in the starting area. We ran into my college sorority sister and blog reader Ashley while waiting to start, and had fun chatting with her. 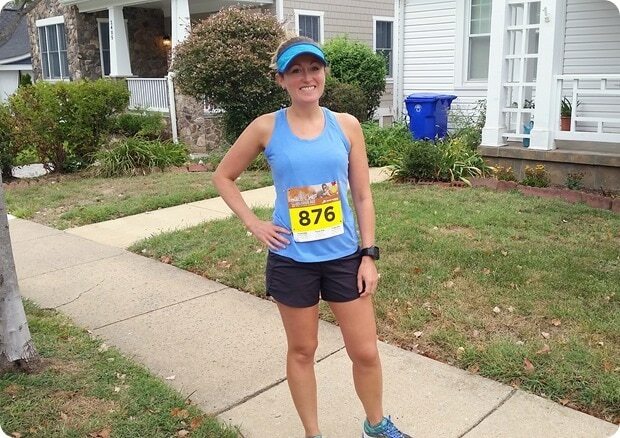 She was doing the double (5k AND 10k), so she had just run the 5k – way to crush it, girl! Matt’s faster than me from all his soccer playing so we decided to run our own races and just see how we could do. He took off a little ahead and I settled in, taking advantage of the downhill. To PR, I had to beat 48:17, my time from the Beach to Beacon 10k last month – that’s a 7:47 minute/mile average, so I was aiming for anything under that. My watch usually is a bit off on pace during races, so I tried to aim faster because I knew it wouldn’t be perfectly accurate. After running down through Rosslyn, the majority of this race is on the highway, which isn’t the most beautiful, but at least it’s not hilly (just some slight up or down). You double back the same way, so I had fun cheering for the really fast people once they started heading back past us. I was also totally impressed by this guy with a double wide stroller (and two toddler-aged kids sitting in it) who breezed past me doing like a 7:30 minute/mile looking like he was out for a casual jog. Beast! Meanwhile, I did my best to maintain a speedy pace without a stroller. :) I felt strong, although fast paces never feel easy, of course, so I had to keep reminding myself to not let the pace slip too much. Around mile 4.5 was the turnaround to go back towards the finish line – and just before reaching it, I saw Matt coming back the other way! He was about a minute ahead of me, crushing it! Go Matt! I was definitely starting to feel like I wanted to not keep running fast by this point, but I knew I just had a little while longer to go and that it was worth it feeling hard to potentially PR. 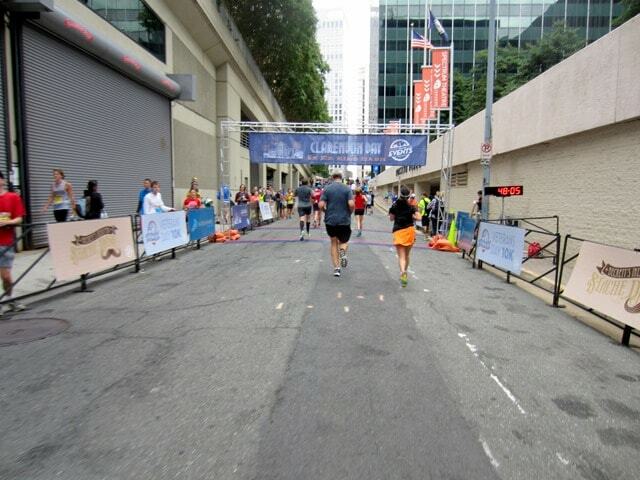 I tried to pick the pace back up, since I knew it would be close time-wise for my PR attempt! 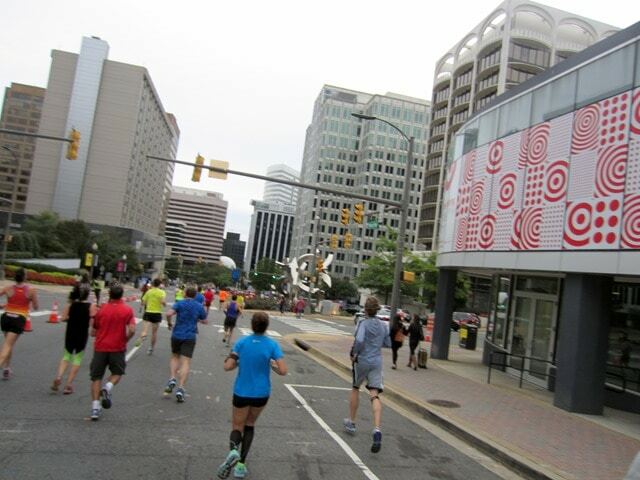 When we saw the mile 6 sign I kicked it into high gear. The last quarter mile of the race is basically straight uphill (rude), but I’ve been doing some serious hill repeats with my track group and I knew I could crush it. Lean forward, hands down, shorten stride. I had this! Yessss – the finish line!! I sprinted through that thing with all my might. 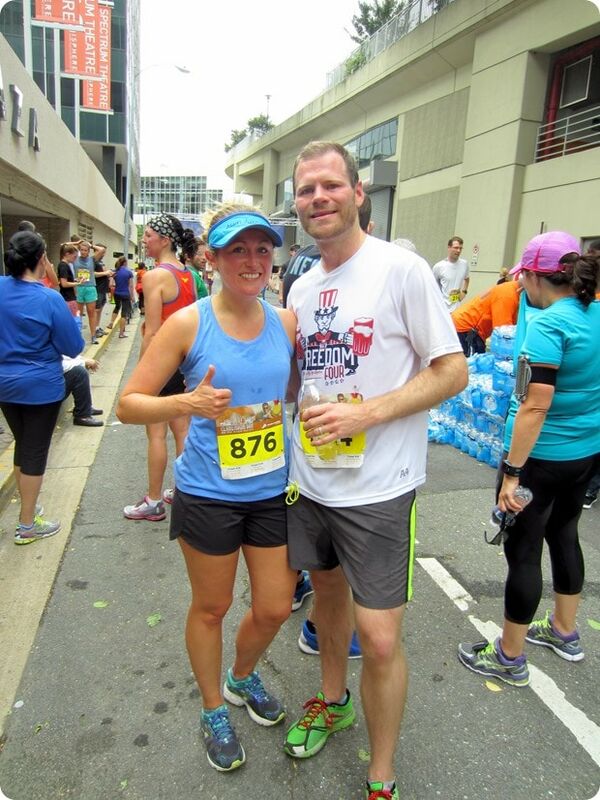 YES – a new PR was mine!! :) My watch told me I did 48:06, but when I looked up my official results I actually was a bit faster – sweet! 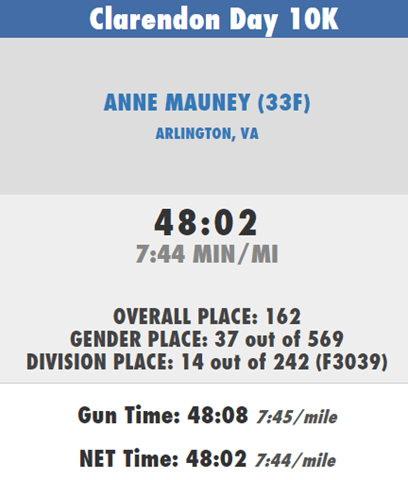 My new PR is officially 48:02 – a 7:44 average minute/mile pace. Yay! Those track workouts are paying off! Matt and I made our way back up the hill to Clarendon (they give you a metro card at the finish line if you want to metro back, but we decided we’d rather walk to cool down), stretched out, and then made a beeline to Le Pain Quotidien for brunch! I ate a banana at the finish line and by the time we got back up the hill I was ready for a real meal. 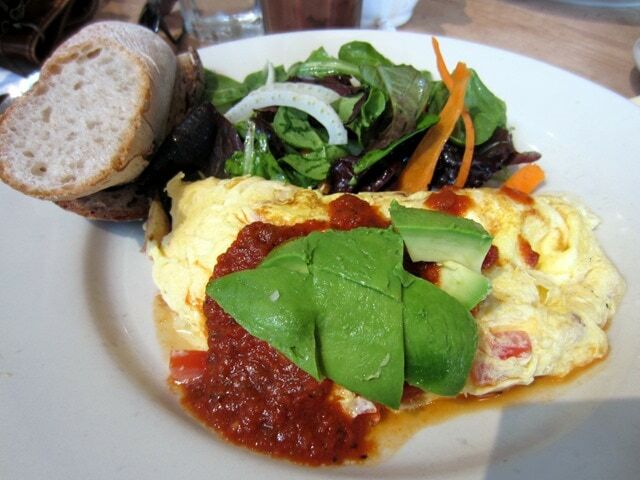 My mom gave me a gift card to LPQ for my birthday – thanks, Mom. :) Omelette, salad, and toast, get in my belly. I also had an unpictured mocha. As we ate brunch, Matt got texts from a bunch of our friends that said they were going to go on a fun bike ride out to Vienna. Hmmm. 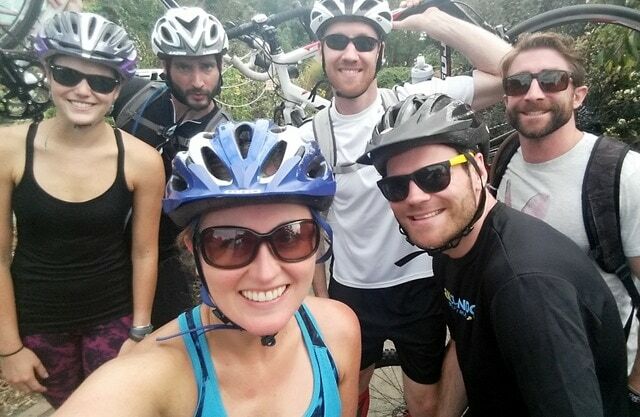 We were sore and tired, but not completely destroyed, and we didn’t want to miss out… okay, let’s do it! We biked from Arlington out to Vienna on the W&OD Trail at a leisurely pace (thankfully), and then stopped at the Vienna Whole Foods (right on the trail) for a snack/hangout break. 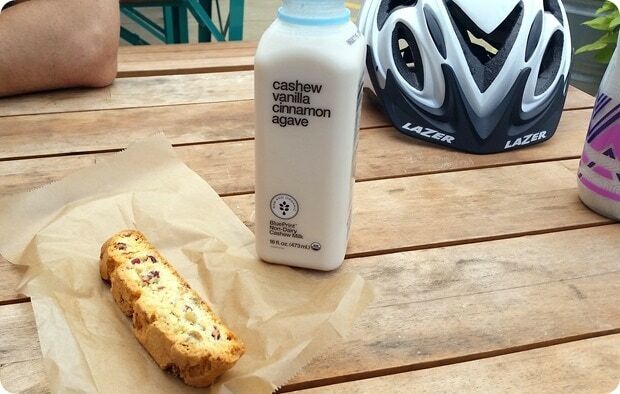 I had some biscotti and a cashew milk – I’m obsessed with these BluePrint ones. Such a fun day! The only thing left to do was an early bedtime. We slept well after all that activity, that’s for sure! Way to to crush it champ!!! Hi Anne! Congrats on the PR! What kind of camera do you use during races? iPhone or something else? I use this point and shoot! It’s nice and lightweight and really easy to snap action shots without slowing me down. I find it really hard to use a phone to take pictures while running – too many buttons to hit! Well done to you both! Super duper active weekend balanced out with yummy eats! 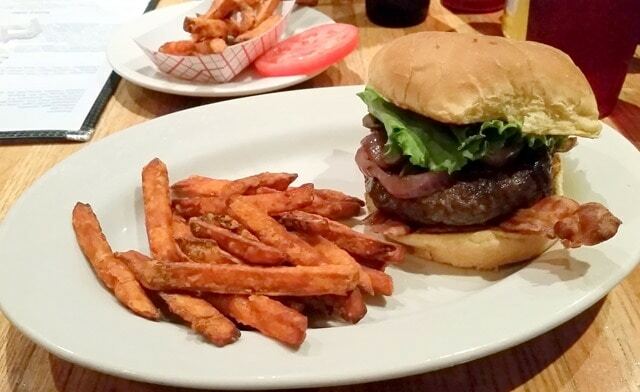 Those fries look like sweet potato perfection! I raced a 10k-5k back to back Saturday…felt pretty rough due to extrme FL heat and not being used to running in the evenings (I’m a morning girl), but I still placed, which was cool – 2nd in my division (Female, 20-24) for the 10k, and 3rd for the 5k. I’m ot NEARLY as speedy as you though! Great job, guys!! Killin’ it!! I <3 Ray's Hell Burger. Woo hoo! Way to go! That burger looks amazing, must try next time we’re up there! Hooray for a PR!! I was there working the water station!! Yay! Thank you for being out there supporting us! Way to go!! What an awesome time!! Congrats on the new PR. The speed work clearly is paying off! Congrats on the PR! I did the double on Saturday with plans to “race” (for me) the 5K and do a comfortably hard 10K – ended up with a 5K PR @7:40 pace and a much faster than expected 10K. Downhill starts are awesome. :-) Love the blog and the running inspiration – you have me considering adding in those track and hill repeats in a more formalized fashion. That’s awesome!! Great job out there. Thanks for reading! And yeah – track and hill work has definitely made a big difference in speed for me! Congrats on the PR! Holy, you’re fast! Nice job!! Congrats on your PR! 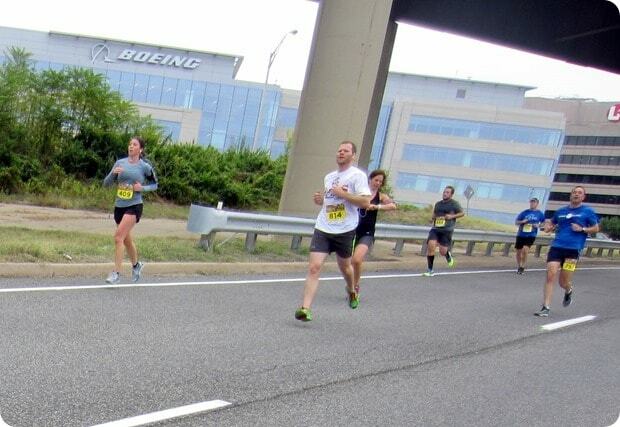 No races this weekend, but next Sunday I am running the Boo run (10k) in West Potomac park. it should be a fun race, I am so excited about it! Wow, look at you!!! Congrats on a PR and going on a bike ride after the race. You definitely deserved that burger! I love the Blueprint cashew milk – so tasty! “The last quarter mile of the race is basically straight uphill (rude),” <– This made me laugh out loud. Congrats on the PR! Congrats on your PR! I was registered for the double and at the last minute had to bail because I couldn’t find a sitter for my kiddos :( Did you notice Courtney’s face on the bib! Crazy huh?! Yeah, she told me when I saw her! So cool!! 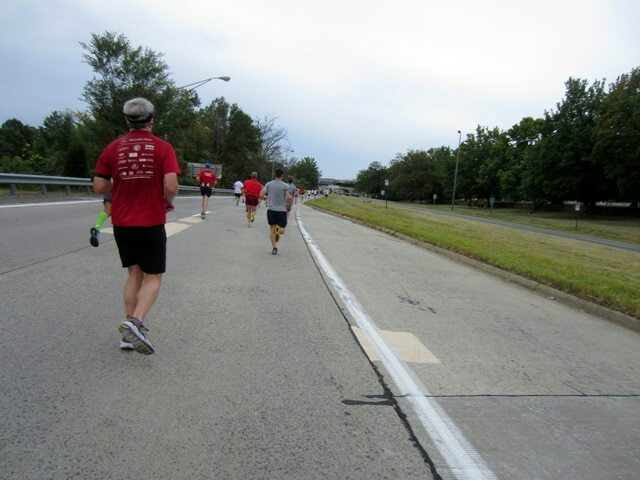 The Race for the Cure here is uphill the last .2 of .25 miles, SO annoying when i want to sprint and i’m suddenly dead! haha. Congrats on the PR! 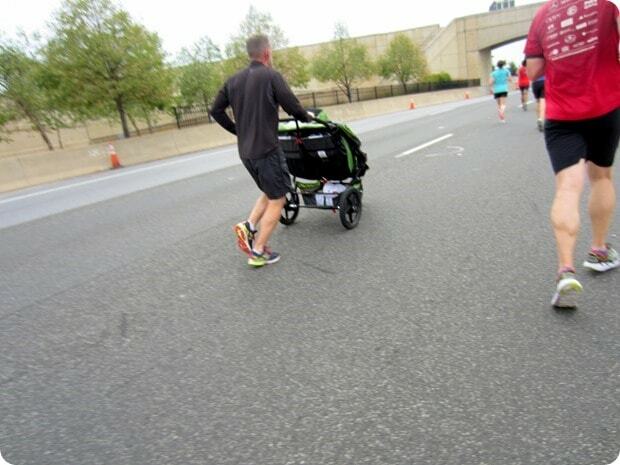 I’m always so motivated by people with running strollers! Not only am I throughly impressed with their efforts, it pushes me to do my best since I’m just moving myself along — not kiddos too! Awesome job hitting the personal record! It’s always great to get one, isn’t it? Such a great feeling! Thanks! Nice bumping into you and Matt after the race. It made the walk up the hill alot more tolerable. There I am, in your final photo, slightly ahead of you. Look like I will have to work hard to keep it that way. You will indeed. You won’t pass me next time! ;) Great job out there and great chatting with you! Ditto! And that’s awesome you’re doing yoga sculpt — that class is such a great workout!